Regular and complete bowel movement may well be a key component in maintaining youthful health, energy and wellbeing. SKU: COS86 Categories: Body Health, Detoxification Brands: Oriyen. ‘ riyen Colo-Cleanse is a herbal preparation to clean up your colon and reduce re-absorption of toxins from body waste, relieve constipation, bloatedness and flatulence and regulate your bowel movement. It gently softens and removes accumulated and hardened build up of disease-causing wastes and toxins in the intestines and colon in order to alleviate distress stemming from a toxic colon such as constipation, bloatedness, excessive gas or flatulence. You not only get a more regular bowel movement, but more complete absorption of health-inducing nutrients from the food you eat. 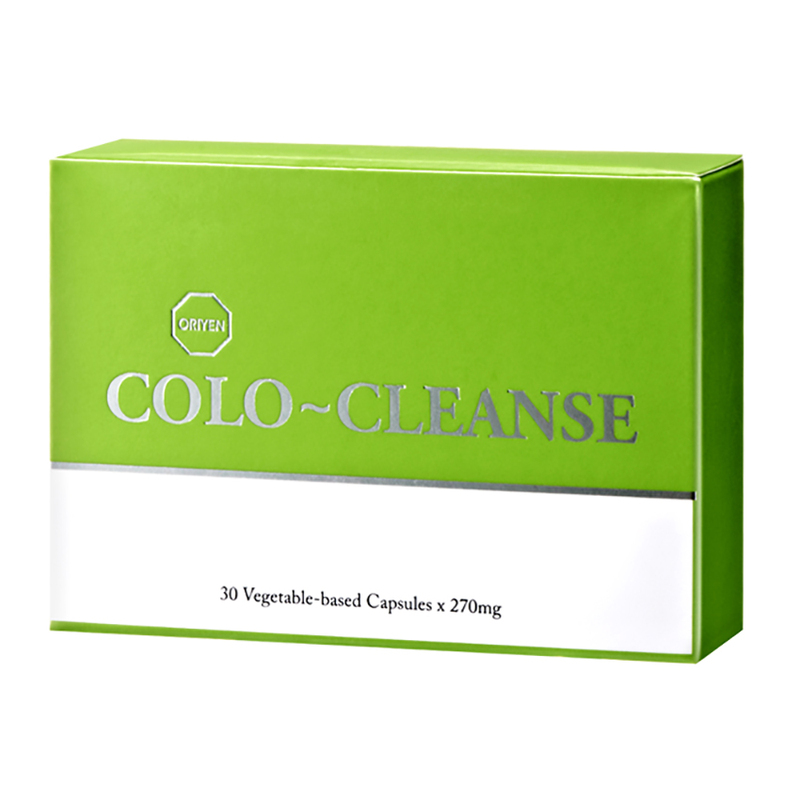 With regular consumption of Oriyen Colo-Cleanse, you will enjoy the benefits of vibrant health. Excerpt from Colon Health, the Key to a Vibrant Life by Dr. Norman W. Walker, D.Sc., Ph.D.
Take 1-2 capsules daily or as needed.